The Acer Iconia One 10 (2017) has entered the tablet ring with a great display and powerful speakers, making for a strong first impression. But with a budget chipset and average battery life, it doesn't do enough to be essential. 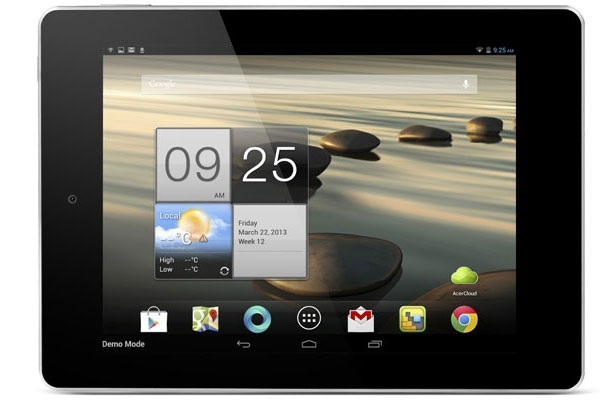 The respectable battery life of the Iconia One 10 B3-A30 is one of this bargain tablet’s biggest assets. The running time we saw was long enough to get through several states' worth of driving in many parts of the United States, or a day’s outing to Grandma’s and back—all while keeping the little ones entertained. That enticing battery life, coupled with the tablet’s solid, if unspectacular, build quality, make this a good, low-cost option for kids, cars, and secondary locations like a den or kitchen. The Iconia One 10 goes up against various low-cost tablets in the $150 range from Asus, Lenovo, and RCA. For broad Android app usage, I prefer the Asus ZenPad Z300M, which has less onboard storage (16GB) but more RAM (2GB). The reason is that you can add storage with a microSD card (and even make it look like internal storage), but you can't do anything about a tablet's RAM, which caused various crashes and out-of-memory errors on the Iconia One 10. As I said at the beginning of this review, though, it's all about what you want to do with your tablet. The ZenPad and other options in this price range generally lack front-facing speakers. If you're looking to keep your kids occupied on a long car ride, the Iconia One 10 is a solid choice. If you don't mind a smaller screen, the 7-inch Amazon Fire$49.99 at Amazon is less than half the price and our Editors' Choice for low-cost tablets. At the beginning of this review, I asked if the Acer Iconia Tab10 was worth its asking price to be a multimedia tool. If that is what you are buying this tablet for then yes it certainly is. The screen is nice and clear and the colours pop well. The sound is very good due to the four front-facing speakers and the DTS audio gives it some real “oompf”. Add in the fact that this has a very handy Kids Mode built in and this could very well be a great tablet for the upcoming holidays as a family tablet. On the face of it, The Acer Iconia Tab 10 looks like a pretty good tablet then. I have been using the device for a few days now, mainly for its multimedia functionality. In this role, it is performing admirably. The battery will last long enough for at least two feature-length films with room to spare. There are some pretty neat little features that have been stacked on top of a relatively spartan installation of Android 6.0. One of these is the use of multi-finger inputs. For instance, when the screen is locked, you can use 5 fingers to unlock the screen and go to an app of your choice. This is a really nice touch when you’re using the tablet in conjunction with an HD TV via the inbuilt HDMI port. 74% Recensione Acer Iconia One 10: buona la sostanza! Positive: Good performance; high autonomy; good price. Negative: Plastic case. MT8163 V/B 1.3 GHz: Quad-Core ARM Cortex-A53 SoC clocked at up to 1.3 GHz (V/B version) with integrated Mali-T720 MP2 clocked at 520 MHz graphics card.» Further information can be found in our Comparison of Mobile Processsors. 71.2%: This rating is bad. Most notebooks are better rated. This is not a recommendation for purchase.